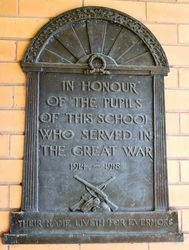 The bronze tablet commemorates former pupils of Camperdown State School who served in World War One. Note: The school is now known as Camperdown College. (To the Editor,) Slr,-On behalf of the Camperdown School Memorial Commitee I wish to thank you for the valuable assistance given by your paper in connection with the appeal for donations. 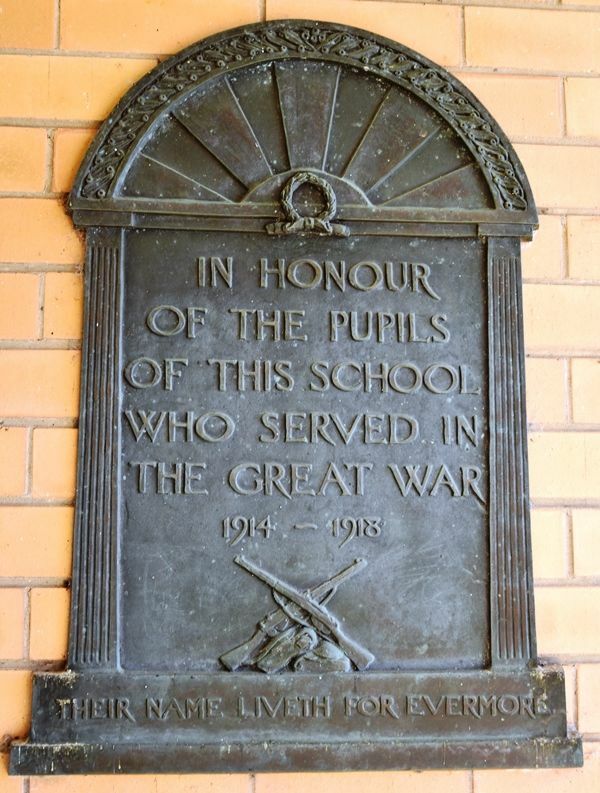 The response was such that we have erected a bronze tablet in honour all pupils who served. This is to be unveiled on Friday next, and it is hoped that the attendance will be worthy of the occasion. We expect to have the Honour Board ready for unveiling on Anzac Day. Yours etc., J.N. Hartley, Head Teacher, S.S. 114. Camperdown. 8/11/1933. Camperdown Chronicle (Vic), 9 November 1933. The unveiling of the War Memorial at the Camperdown State School will take place next Friday afternoon at 3 o'clock. It was originally planned to have the ceremony on Armistice Day, but, as this falls on Saturday, it was found necessary to alter the date to Friday. It is hoped that there will be a large gathering, especially of old pupils of the school, and that parents and those interested will rally to the occasion. All returned soldiers are asked to make a point of attending and the hope is expressed that all those who are old pupils will make a point of being there and that they wear their medals. Employers are appealed to allow their returned soldier employees to attend the function if at all possible. The ceremony will be performed by the president of the local branch of the R.S.S.I.L.A. (Mr. K. J. Findlay), and complete arrangements concerning the ceremony will be made at a committee meeting early in the week.